Dry red wines and dry white wines are a common request in restaurants and retailers alike. Many wine enthusiasts are quite willing to skip the sweet treats of the wine world, namely sweet red wines and sweet white wines, for the full-on palate texture of a lip-smacking dry wine. While the vast majority of both red and white wines are made in a dry style, there are different factors that will influence how well a dry wine will display itself on the palate. 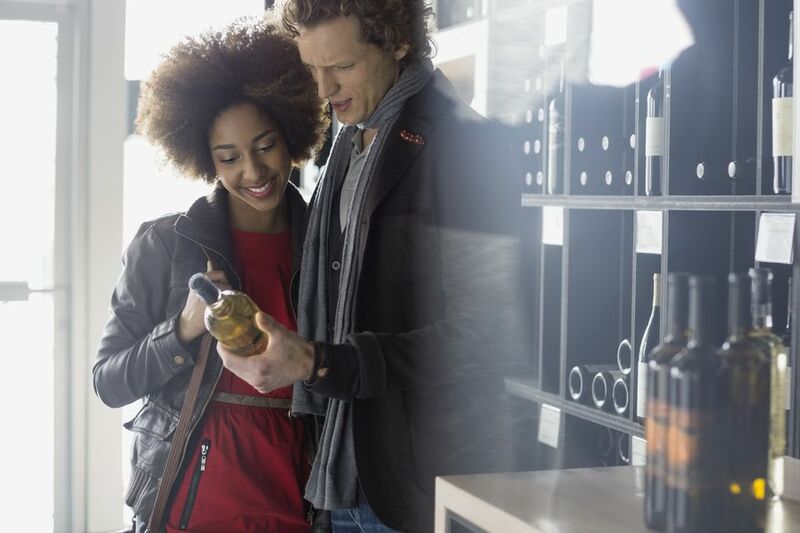 The word "dry" when it comes to wine can seem a touch confusing at first after all wine is a wet, liquid made of mostly water, so how does the description of "dry" fit in the total wine picture? When someone refers to a dry wine, they are really communicating "not sweet," In the world of wine dry is truly the opposite of sweet. However, sweet is an actual taste that.your taste buds can discern, dry is more of a tactile and texture phenomenon that you perceive on the palate. The Spruce Eats / Jiaqi Zhou. So how does a winemaker determine how sweet or dry a wine will be in the bottle? It's during the process of fermentation, where the grape's innate sugar is converted to alcohol. If a vintner is going for a wine that is dry in style, then he will allow the fermentation process to run to completion, fully converting the sugar to alcohol. If the winemaker is shooting for a sweet or off-dry (semi-sweet) style of wine, then he will stop the wine's` ​fermentation process short. There are two ways for a winemaker to halt a fermentation. The first method for putting the brakes on fermentation is to turn down the heat. Fermentation demands a warm, consistent environment when the temp's drop so does the conversion of sugar to alcohol. The second way that fermentation can be stopped short, is by the addition of alcohol, also known as fortification. When a wine's fermentation is cut short, the remaining, unconverted sugar, known and loved as "residual sugar" stays with the wine and will be bottled in a sweeter style. Two factors play a key role in our palate's perception of "dry" in a wine.They are acidity and tannins. Acidity while present in both red and white wines, tends to be easier to showcase in a white wine. It is first detected by salivation. When you take that first sip of a white wine with decent acidity (try a New World Sauvignon Blanc for starters), your mouth will immediately begin to water. In a red wine with decent tannin levels, your mouth will dry out a bit with that first taste sensation. Both the acidity and tannin structure of a wine will speak "dry" to your palate. When referring to a wine's innate fruit character, you're really referring to the aromatic and secondary flavor profile of a wine. The distinct fruit-like qualities of a wine, from the light to lush, the citrus to mango in white wines and the cherry to fig-like qualities in red wines, is what drives the "fruity" factor in a wine. However, a wine's tannins and acidity can kill the fruit in a wine if they are out of proportion and the wine is unbalanced. Some will associate "fruit" with "sweet," this is a slippery slope because all wines should have some fruit character present, but most wines are not classified as sweet in style. If the tannins in a red wine are light, the fruit may seem more "forward," more obvious on the palate, the same goes for light-weight acidity. So red wines with less tannin structure, made from grapes with thinner skins like a Gamay grape or Pinot Noir, will often seem more fruit-filled because the fruit character does not have to compete as readily with the tannins. Likewise, white wines with less acidity may shove the fruit to the forefront and seem "sweeter" because of the lack of acidity, but when you look at the numbers, the residual sugar will likely still be quite low. When it comes to cooking with wine, remember the vast majority of wines are dry in style. If in doubt, check the wine's alcohol content, sweeter styled wines from Germany and Canada are often significantly lower in alcohol (6-11%) than your standard dry wine that usually weighs in at 13.5-15% alcohol. Have a favorite dry wine that you enjoy in the glass? Consider using a few splashes in the pot or pan as well - an easy way to draw the flavors of a dish out and complement it with a wine pairing when it's served. When it comes to finding a dry wine, remember that most wines are in fact dry. If you are comparing a few wines on a wine list at a restaurant, going between a Cab, Merlot or Syrah and are curious which one is the driest of them all, they will all be in the same "dry" ballpark, but you may perceive one as drier than the next due to the levels of tannin or alcohol.